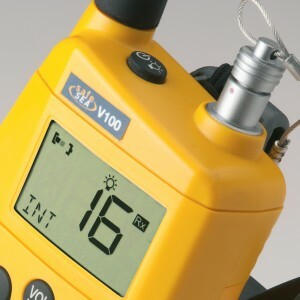 Why are there fewer channels on the V100 than normal VHF handhelds? GMDSS handheld radios are limited to having the International simplex channels fitted as these are the only ones that can be used ship to ship. 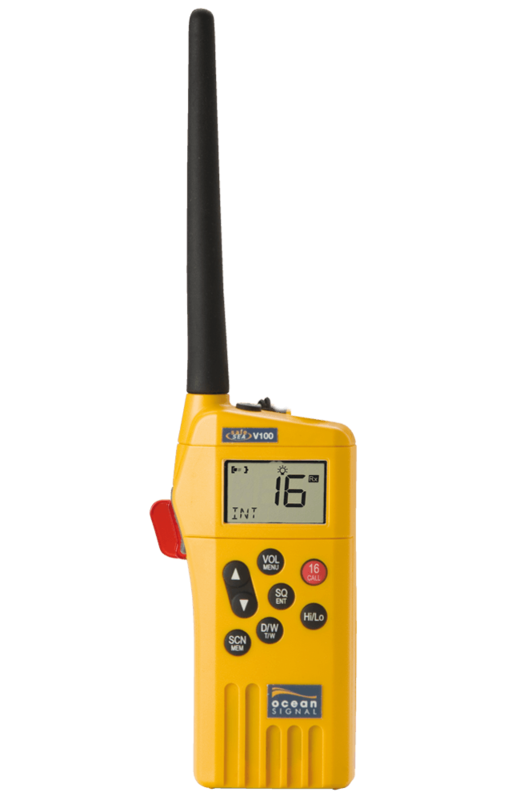 How can I test my VHF radio? 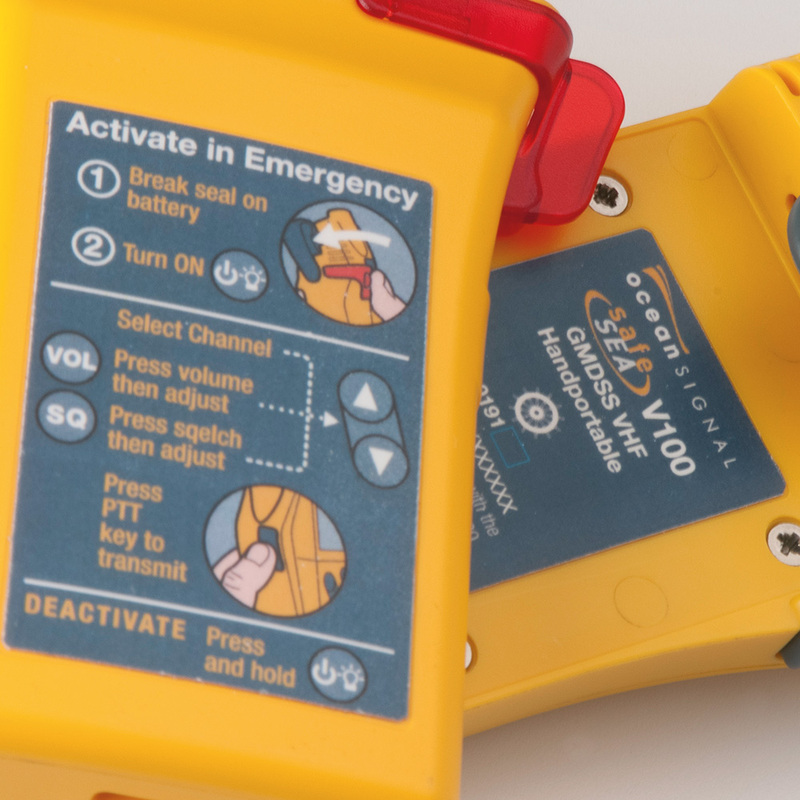 The primary battery for the SafeSea V100 is protected from accidental use by a break off tab, which inhibits the output of the battery. 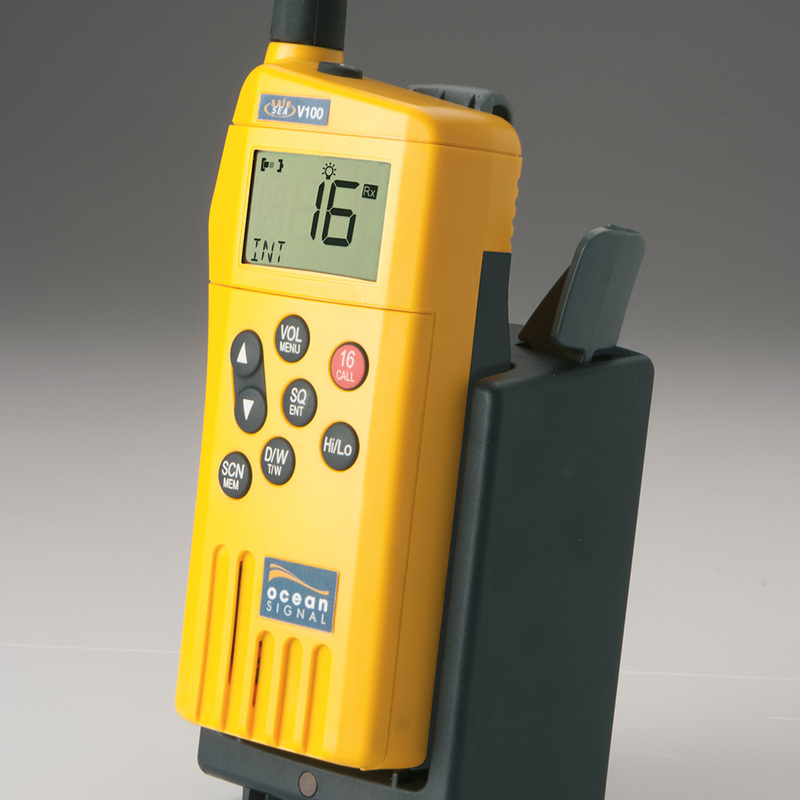 To test the radio, Ocean Signal provide an alkaline test battery, the TB6V. Alternatively, a rechargeable option is available, the RB5V, with charger kit (part number 721S-00622).